Drop Us a Line and Let's Get Started! Please fill out this form and we’ll get back to you to schedule an quick call to discuss the details of your video project. Our Studio and operations are based in Raleigh, North Carolina, but we operate all over the globe: Africa, Bahamas, New York, California, Georgia, Tennessee, Kentucky, Florida, South Carolina, Virginia. We’d love to travel with you or to you! Our team, and their state of the art equipment and masterful skills they have developed along the way, are always ready to see new parts of the world and work with new faces. Simply enter your information below to leave us a Portico Pictures contact request. Aside from your contact information, please include a message stating the nature of your project or idea, as well as any question you may have. 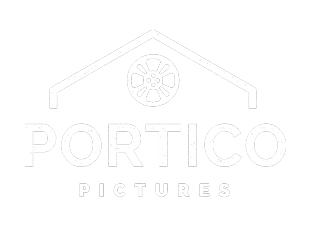 Our Portico Pictures contact system may seem a little impersonal, but you will be answered by a caring human being on the other end that wants to bring your vision to life! If you need a more immediate answer regarding your inquiry or simply prefer a live conversation, please feel free to reach out to us via our other means of staying in touch called a telephone. To stay up to date on the latest success and projects, check us out on social media. We look forward to hearing from you!